Welcome to the website of our international ministry where "world-evangelism" is not a mission trip twice a year. At WOMC, it's our "heart-beat," our all consuming passion, to reach the furtherest corners of the earth with the Great News of our Saviour's love! We are not merely "involved" in evangelism at WOMC, we are "evangelism." .... working "globally"... with "indigenous" ministers in 44 countries of the world. ... ministering "mission messages" to the people of the world in our services at our church in Ennis. ... operating a Bible school here in the U.S. to train ministers so they are prepared to go forth into the harvest fields of the world. ... inviting "indigenous" pastors from around the world to come and "live" on our campus in Ennis, Texas for 21 days of intensive training. We want to prepare and equip these men and women of God so they are able to more effectively reach the people in their country with the Gospel. ... preparing the pastors, who study with us in Ennis, how to establish extensions of our Bible school (free of charge) in their own country, so when they return home, they can train and raise up many more laborers to help gather in the last day's harvest in their country. ... have established and are operating the first Christian radio station in the village of Kisalaya so that we can reach a forgotten people group known as Miskito Indians in the rain forest of Nicaragua. ... are publishing the Gospel in both English and Spanish. 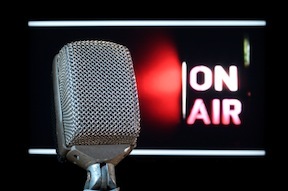 ... are broadcasting the Gospel via the internet and radio stations. ... have provided ministerial credentials since 1933 to thousands of "independent" ministers worldwide. ... have established and are operating a ministry in Nicaragua, which includes: a free education for poor children in our elementary and high school, a children's home in the rain forrest on our 175 acre New Hope Ranch, 35 feeding centers in central Nicaragua, conducting pastors' conference across the nation of Nicaragua and much more. ... Evangelistic Messengers Association Church, E.M.A. was co-founded by J. David Ford's father in Chicago in 1933. ... More than Conquerors School of Theology. MTC was founded by J. David Ford in 1993. 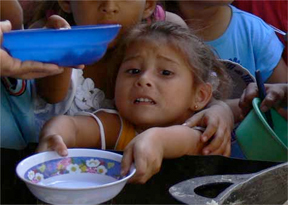 ... New Hope Children's Foundation in Nicaragua. New Hope was founded by Brother Ford in 2004. ... Laborers for the Harvest training center. LFTH brings in pastors from around the world to study and go forth from our campus. As you look through the pages of our site, we pray that God births the vision in your heart to come and unite with us to help gather in this last day's harvest. We have facilities available on our campus where volunteers may live.